Nel modo piu’ caloroso e’ chiuso l’avvio dei colloqui del FRONTE POPOLARE UNITO con la Reppublica Bolivariana di Venezuela. Dopo l’incontro del Segretario Generale di EPAM (Fronte Popolare Unito) D.Kazakis con l’Ambasciatore di Venezuela in Cipro, una delegazione del Fronte ha incontrato mercoledi’, 5 giugno, l’Ambasciatore della Repubblica Bolivariana Franklin Gonzalez, nella sede dell’Ambasciata di Venezuela ad Atene. Durante l’incontro che e’ durato circa un’ora e mezza, i delegati di EPAM hanno informato l’Ambasciatore delle attivita’ del Fronte in tutta la Grecia, e anche sulle posizioni del Fronte, di che cosa e’ e cosa propone il Fronte, analizzando le sue 5 proposte basilari con i quali l’Ambasciatore era concordo dicendo che sono il presupposto fondamentale per un Paese sovrano. Hanno discusso della crisi economica che vive il Paese e della situazione politica in Grecia, e hanno fatto affermazioni comuni sul ruolo svolto dagli Stati Uniti e dalla Germania sugli sviluppi internazionali. Alla fine l’Ambasciatore si e’ riferito al nemico comune che e’ la disinformazione e le sue conseguenze, mentre molti media distorcono deliberatamente notizie ed altri dati che riguardano il suo Paese, il quale ormai segue un modello di governo diverso, in cui il popolo dalla miseria assoluta ha accesso al sistema sanitario, all’Istruzione Pubblica e al lavoro. Με τον πιο θερμό τρόπο σφραγίστηκε η έναρξη των συνομιλιών του Ενιαίου Παλλαϊκού Μετώπου με την Μπολιβαριανή Δημοκρατία της Βενεζουέλας. Μετά τη συνάντηση του Γ.Γ. του Ε.ΠΑ.Μ. Δ. Καζάκη με τον πρέσβη της Βενεζουέλας στην Κύπρο τον Απρίλιο, αντιπροσωπεία του Μετώπου με επικεφαλής τον Γ.Γ. του συναντήθηκε σήμερα 5 Ιουνίου με τον πρέσβη της Μπολιβαριανής Δημοκρατίας της Βενεζουέλας κ. Franklin R. Gonzalez στην έδρα της πρεσβείας στην Αθήνα. President Hugo Chavez, who died on March 5, 2013 of cancer at age 58, marked forever the history of Venezuela and Latin America. 1. Never in the history of Latin America, has a political leader had such incontestable democratic legitimacy. Since coming to power in 1999, there were 16 elections in Venezuela. 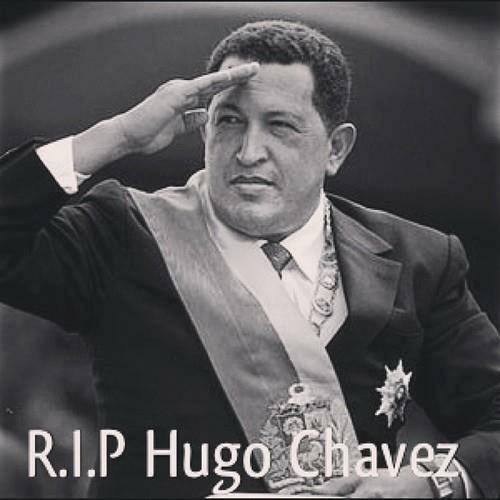 Hugo Chavez won 15, the last on October 7, 2012. He defeated his rivals with a margin of 10-20 percentage points. 2. All international bodies, from the European Union to the Organization of American States, to the Union of South American Nations and the Carter Center, were unanimous in recognizing the transparency of the vote counts. 4. Universal access to education introduced in 1998 had exceptional results. About 1.5 million Venezuelans learned to read and write thanks to the literacy campaign called Mission Robinson I. 5. In December 2005, UNESCO said that Venezuela had eradicated illiteracy. 6. The number of children attending school increased from 6 million in 1998 to 13 million in 2011 and the enrollment rate is now 93.2%. 7. Mission Robinson II was launched to bring the entire population up to secondary level. Thus, the rate of secondary school enrollment rose from 53.6% in 2000 to 73.3% in 2011. 8. Missions Ribas and Sucre allowed tens of thousands of young adults to undertake university studies. Thus, the number of tertiary students increased from 895,000 in 2000 to 2.3 million in 2011, assisted by the creation of new universities. 9. With regard to health, they created the National Public System to ensure free access to health care for all Venezuelans. Between 2005 and 2012, 7873 new medical centers were created in Venezuela. 10. The number of doctors increased from 20 per 100,000 population in 1999 to 80 per 100,000 in 2010, or an increase of 400%. If you want to learn about human rights in Venezuela before Hugo Chavez, type “Caracazo” into Google, and do so with a strong stomach. Back in 1989, then-President Carlos Andrés Pérez won an election on a fiery platform of resisting free-market dogma: the IMF was “a neutron bomb that killed people, but left buildings standing,” he proclaimed. But after safely making it to the presidential palace, he dramatically u-turned, unleashing a programme of privatisation and neo-liberal shock therapy. With gas subsidies removed, petrol prices soared, and impoverished Venezuelans took to the streets. Soldiers mowed protesters down with gunfire. Up to 3,000 perished, a horrifying death toll up there with the Tienanmen Square Massacre – in a country with a population 43 times smaller. It was his abortive coup attempt against Pérez’s murderous, rampantly corrupt government in 1992 that launched Chavez to prominence. Though locked away, Chavez became an icon for Venezuela’s long-suffering poor. By the time he won a landslide victory in 1998 on a promise to use the country’s vast oil wealth to help the poor, Venezuela was a mess. Per capita income had collapsed to where it had been in the early 1960s. One in three Venezuelans lived on less than $2 a day. Oil revenues were squandered. February 2009 marked 10 years since Hugo Chavez took office, following a landslide election victory, and launched his revolution to bring radical change to Venezuela. While wildly popular with many in the country, Chavez’s policies and his strongly-worded criticisms of the U.S. government have also made him powerful enemies, both at home and abroad, especially in the media. Filmed in Caracas in November 2008, on the eve of the 10th anniversary of Chavez’s controversial presidency, this feature-length documentary takes a journey into the heart of Venezuela’s revolution to listen to the voices of the people driving the process forward. The film traces the recent history of Venezuela, before and after the election of Hugo Chavez to the presidency, using archive material and interviews with Venezuelans living in the barrios of Caracas who are involved in community and social movements. 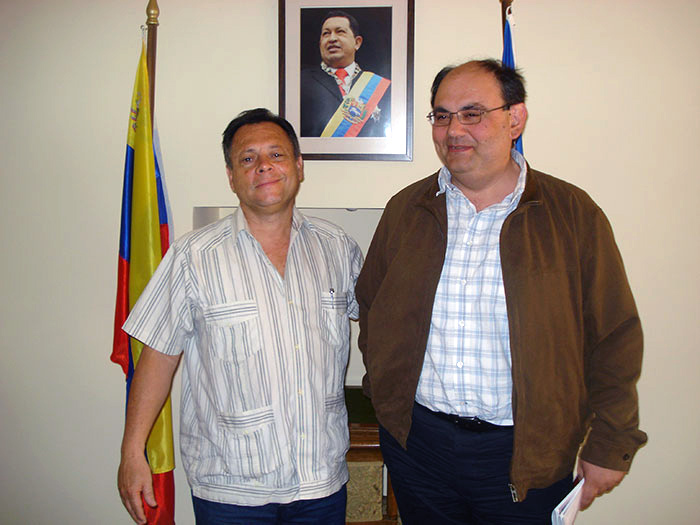 The achievements and challenges facing the Bolivarian process are put into context by means of interviews with leading Venezuelan social scientists Edgardo Lander and Javier Biardeau, as well as the Canadian economist Michael Lebowitz, who currently lives in Venezuela.